Fig. 1 Optics of the S-TOP. Fig. 3 Micrograph of the S-TOP. Fig. 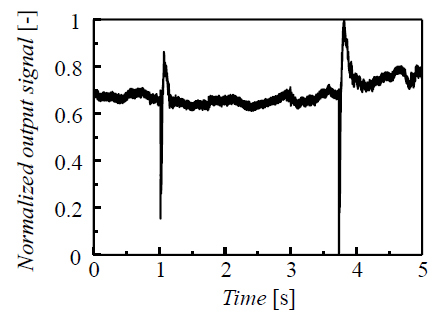 4 Output signal of the piercing a film by the surface treated S-TOP. Fig. 5 Output signal of the foam measurement. (1) Ke, L et al., Wall effect on rising foam drainage and its application to foam separation, Separation and Purification Technology, Vol. 118 (2013), pp. 710-715. (2) Xie, W. et al., A nobel approach for estimating the average bubble size for foams flowing in vertical columns, Chemical Engineering Science, Vol. 59 (2004), pp. 81-86. 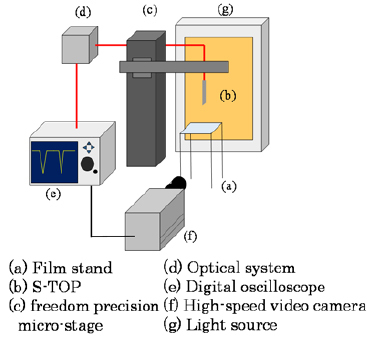 (3) Saito, T. et al., Measurement of tiny-droplets using a newly developed optical fiber probe microfabricated by femtosecond pulse laser, Measurement Science and Technology, Vol. 20 (2009), 114002. 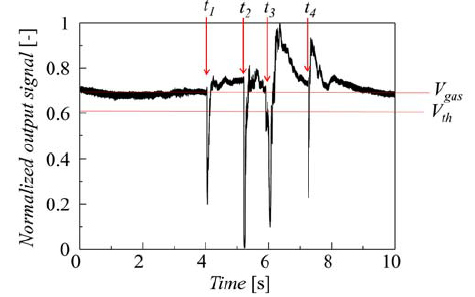 (4) Mizushima, Y. and Saito, T., Measurement technique of bubble velocity and diameter in a bubble column via Single-Tip Optical-fiber Probing with judgment of the pierced position and angle, Chem. Eng. Sci., 100 (2013), 98-104. 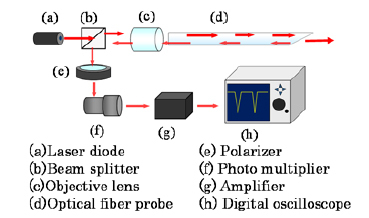 (5) Sakamoto, A. and Saito, T., Numerical Analysis of Optical Fiber Probing based on Ray Tracing Method, Rev. of Sci. Inst., 83 (2012), 075107(10 pp).